Porcelain Turtle Tealite - Bring a little light into your home or patio area. Hand crafted in Virginia using the highest quality porcelain clay and high fired multi-colored glazes. 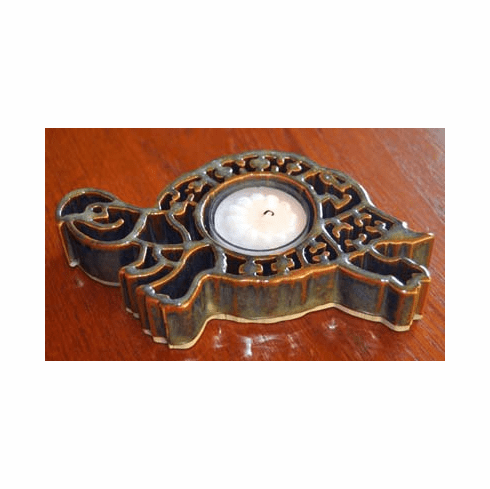 Beautiful rainbows of blues, greens and earth tones adorn our charming Porcelain Turtle Tealite, candle included. Measures 6" x 4".